In North Atlanta we are lucky to have many beautiful neighborhoods with landscaping that includes dramatic landscaped entrance monuments, lush green parkways, and green spaces. The most difficult task that many Homeowner Associations have when deciding how to care for these areas is finding a balance between proper maintenance and cost. The most cost effective solution may not offer the level of service desired by homeowners, but higher cost does not always translate to higher service levels. At Hutcheson Horticultural we offer the perfect mix of experience and knowledge to maintain the common areas of your neighborhood to the highest standards, at an appropriate cost. Our goal is to become your partner in maintaining and developing your common landscaped areas as places of community pride. 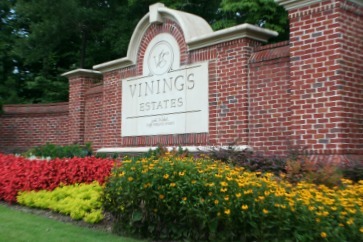 We maintain the common areas of many well-known North Atlanta neighborhoods including Vinings Estates and Legacy Park where excellence in landscaping maintenance is not just expected by residents, it is required. However, since we are a full service landscaping company, we can become your neighborhood’s partner in developing long term landscaping goals including new planting programs, maintenance and development of hardscapes, and long term planning and budgeting for capital projects and improvements. We understand the needs of neighborhoods and the pressures placed on the boards of the Homeowner’s Associations who are in charge of ensuring the performance and quality of landscaping maintenance and installation at an affordable cost. We work with these groups to develop an overall plan that includes the needs of the neighborhood today as well as in to the future.